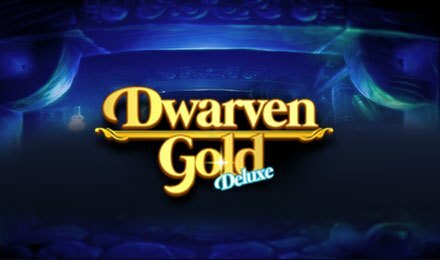 Join fun-loving dwarves at Moon Games with Dwarven Gold Deluxe Slot! Brought to you by Pragmatic Play, it consists of 5 reels and 25 paylines. Dwarves are known for their penchant for beer and gold! They love to have fun and celebrate. Join the celebration on this game using any type of device, only at Moon Games! Dwarven Gold Deluxe Slot is set against a backdrop showing mushrooms and grass under a blue sky. The reels are enclosed within a thin golden frame decorated with creeping vines. On the reels, find the following symbols Treasure Chest, Purple, Red, Blue and Yellow drinking dwarves, A, K, Q, J and 10. Get ready for lots of fun! Enjoy Dwarven Gold Deluxe Slot by adjusting your bet using the + and – buttons. You can also choose 1 to 10 coins for your gameplay. Next, press the Spin button to begin. Your aim is to form combinations of 3 to 5 identical symbols on the reels to earn a win as per the Paytable. Do you want to speed the game up? Click on “Auto Play” to launch 10, 20, 30, 50, 70 and 100 automatic rounds. Bet Levels: Bet levels are not available. Amount of Paylines Selection: The 25 paylines are fixed and cannot be changed. Coin Values: The following coin values are available 0.01, 0.03, 0.05, 0.10, 0.20 and 0.50. When 3 scattered Butterflies land on reels 2, 3 and 4, you earn 7 free spins. During this feature, special reels come into play. Before every free spin, 2 Wilds are added to reels 2, 3 and 4 at the beginning of the spin. They remain in place throughout the entire feature. When 3 Scatters appear during free spins, up to 20x the total bet is awarded. The wild card on Dwarven Gold Deluxe Slot is the Pot of Gold Coins, which substitutes for any symbols, except Scatter. Look out for the lovely Butterfly symbol! It represents Scatter and helps to trigger the Free Spins Feature. It appears only on reels 2, 3 and 4. Don’t wait any more to try Dwarven Gold Deluxe Slot at Moon Games, where a wide range of online games awaits you. Good luck!